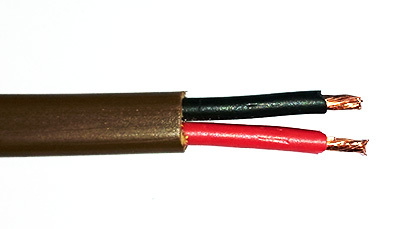 Suitable for Guitar amp to cab connections as it fits into a standard 1/4" jack plug. Rugged outer sheath for stage use, while remaining extremely flexible. Flexible and rugged 2 to 8 core cables for outdoor use in harsh environments. White flexible cable suitable for install or hifi/home theater use. Thin flat double insulated cable for 100v or small hifi/home theater cabling. Heavy duty double insulated cable with heavier stranding for larger 100v systems or hifi/home theater.